While there are many backup software available online, DearMob iPhone Manager, stands always-ready to manage category-wide iPhone data including photos, music, videos, and create ringtone on iOS 11.2.1 or even older versions. Apple iTunes basically didn’t change much since its launch, and it's gradually becoming a bloated and complicated piece of software, DearMob iPhone Manager works in conformity with iPhone or iPad running iOS 11.2.1 or even older versions to make your task easier. Perhaps, the biggest reason to go for DearMob iPhone Manager is the fact that it packs all the features that you will ever need to manage your iPhone in a simple and clean interface. But don't take our word for it, dive into the review of the DearMob iPhone Manager to discover some key features that makes it standout. To back up and restore your iPhone data is easy as clicking a button, simply connect your iPhone to your computer and wait for a few moments, then click on the backup button and DearMob will initiate the back up of your iPhone’s data from your computer. And the software gives an option to encrypt your data if it contains sensitive information by checking the “Encrypt your Backup” button before you start the back up. 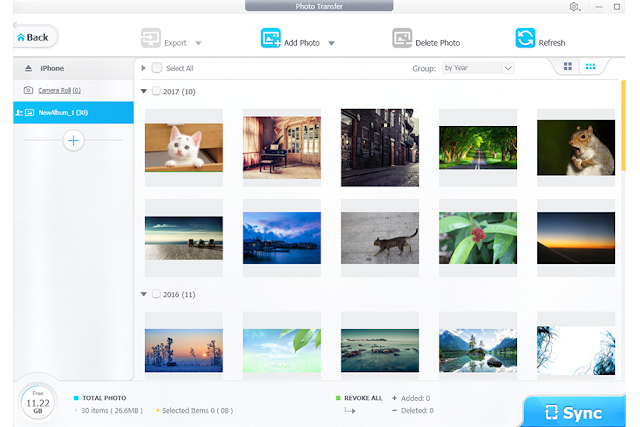 Most probably the best use case for DearMob is transferring photos from your iPhone to your Windows or Mac machines. As the iPhone doesn’t offer expandable storage, it’s just a matter of time when you start running out of storage on your phone. And coupled with the fact that iCloud only offers 5GB of free storage which is really nothing to compare the huge collection of photos an average user holds. DearMob makes it easier for you to transfer photos from your iPhone to your desktop, instead. It does not only support Apple’s new HEIC format, it also allows you to export photos in normal JPG Format which is what you need if you want to share photos to be viewable on any device. 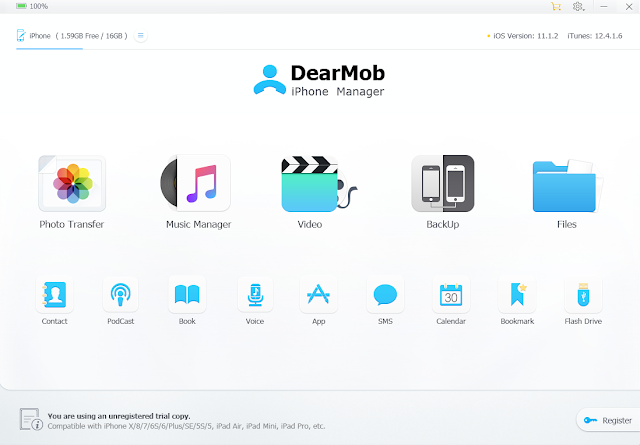 DearMob iPhone Manager makes it pretty easy to transfer songs from your desktop to iPhone by simply connecting your iPhone to desktop and launch DearMob. You can as well drag and drop the music files that you want to transfer to your iPhone and click on the sync button. 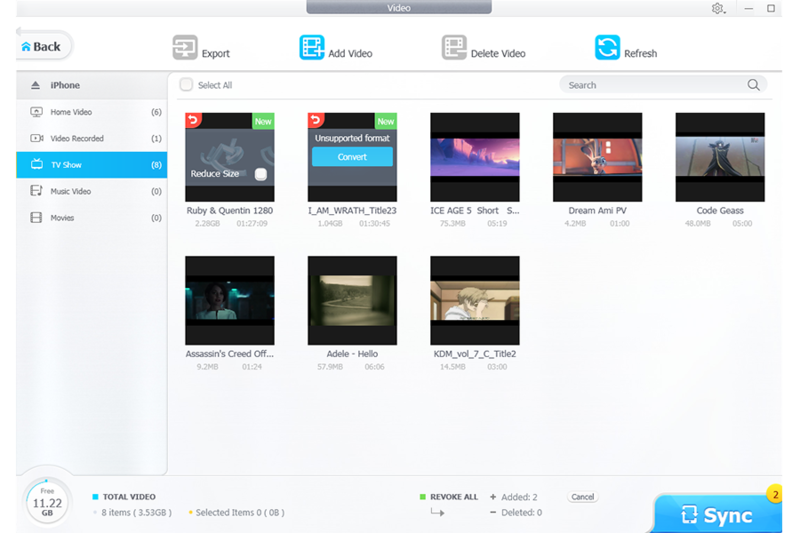 It also provides a very comprehensive suite of video management tools for you to easily export videos from your iPhone to your desktop, and vise versa. One big setback for iTunes is Apple's removal of the ability to manage apps on your iPhone using iTunes. But no worries again, as DearMob allows you to manage apps on your device. It not only allows you to uninstall multiple apps at once but also to install apps on your iPhone using the already downloaded .ipa file from your local storage. Aside the above key features are some nifty features like the ability to manage your ebooks, podcasts, contacts, calendar, messages, bookmarks, and more. Also, it can convert your iPhone to a flash drive, allowing you to easily transfer any kind of file from your computer to your iPhone and use as USB device. 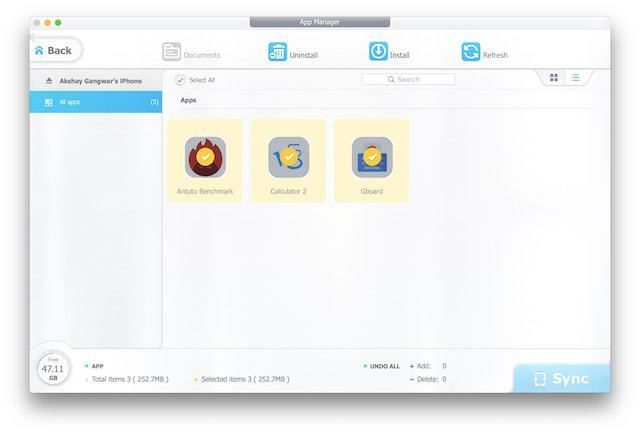 DearMob packs more features that you'll never need an iPhone manager. And the minimalist user interface ensures all its features get different icons, with the settings panel of each feature almost exactly the same, but not confusing to the user in differentiating it. Again, the uniformity of DearMob makes it a piece of software which is very easy to get used to, as it only takes a few minutes to get used to the software. DearMob iPhone manager is free to download for a trial, but you will need to buy the license if you want to perform more action. It's available for both Windows and macOS platforms, and pricing starts at $39.95/year.